Hinton Parva of the @HWDMRS at the Quainton Steam and Model Railway Gala this weekend. Hinton Parva is one of the layouts of the High Wycombe and District Model Railway Society, I shall be exhibiting with this layout and the rest of the team from the Society at the Buckinghamshire Railway Society’s Steam and Model Railway Gala at Quainton on the Sunday and Monday (note: not Saturday!) of this coming Bank Holiday weekend 1st and 2nd May. The layout represents a very busy junction station on a Joint Midland/Eastern north-south line. The “Branch” purports to be a cross-country line bringing Southern and Western trains from the south-west. As well as the usual “mainline” movements, there is a goods yard constantly shuffling wagons for the pick up goods trains, and a motive Power Depot which has to receive, service, prepare and dispatch locos for the stopping branch express trains, all of which require a loco change. We operate a varied, late 1950s, steam/early diesel schedule with a wide range of stock from modern detailed RTR and a large sprinkling of quality kit and scratch built locos and coaches. Not many layouts feature two Garratts (one an LMS and the other the sole LNER machine) hauling 60 wagon trains or an ex LNER W1 or 10001,10201,10800, GT3 and prototype Deltic diesels / gas turbines. The loco stock for an exhibition is in nearly 50 locos, and they all make a running appearance. Whilst the time period is outside of my own preference I do provide a small amount of stock specifically for the layout including my kit built Bulleid mainline diesel 10201 and a couple of other Southern Region locos and a passenger rake. 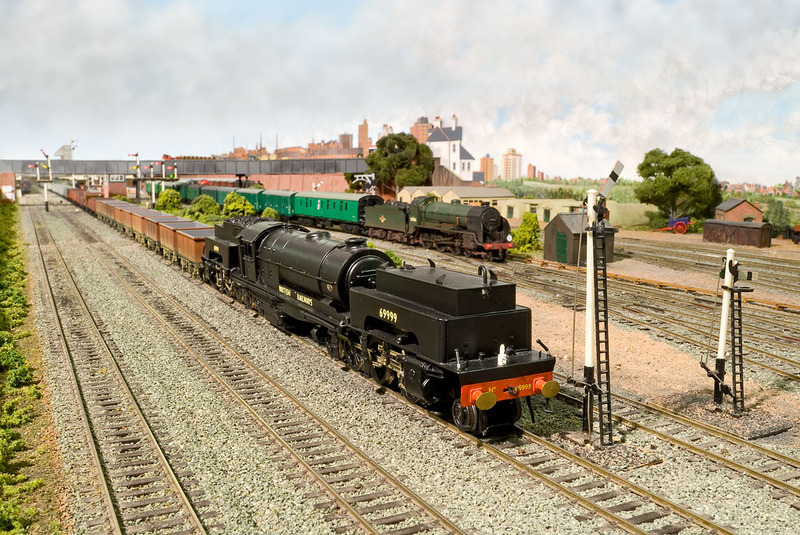 Buckinghamshire Railway Society’s Steam and Model Railway Gala at Quainton will feature up to six locomotives in steam, including visiting loco NER No. 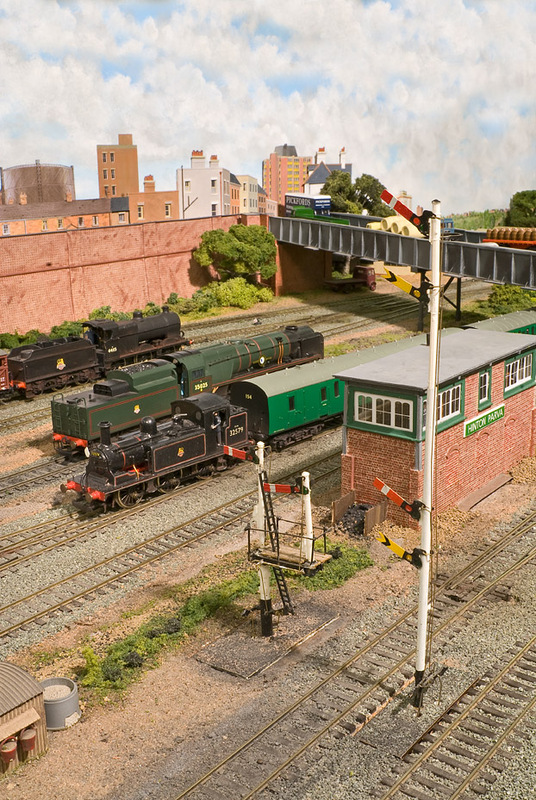 1310, and in the Visitor Centre which is the splendid relocated Rewley Road station building from Oxford, Hinton Parva will be in the company of seven other model railway layouts, from N to 0 gauges, along with a number of trade stands. It promises to be a good day out at an interesting location. If you do manage to pop along make sure you come and say hello.